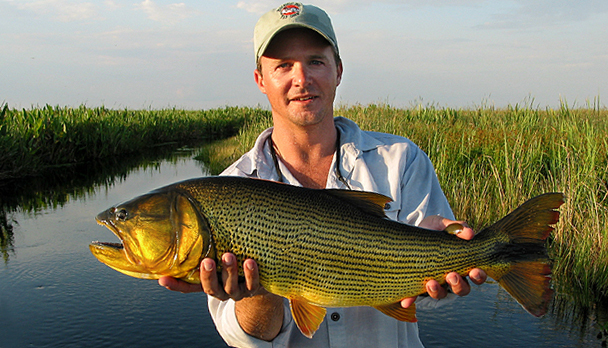 Pirá is a high-quality lodge for dorado flyfishing. Located in Corrientes, in the Northeast of Argentina, Pirá offers tropical weather throughout the 8 months of the fishing season. 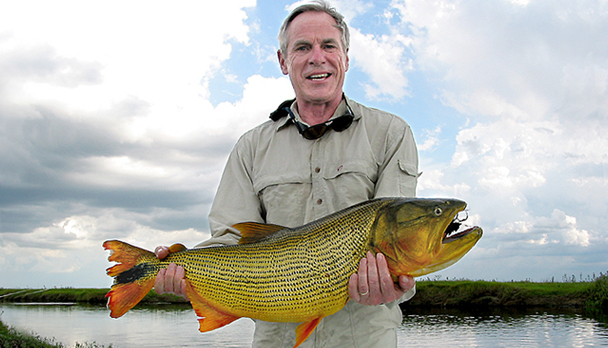 Pirá is a high-quality lodge for dorado fly fishing. Located in Corrientes, in the northeast of Argentina, Pirá offers tropical weather throughout the 8 months of the fishing season. The season starts in September and finishes in May. 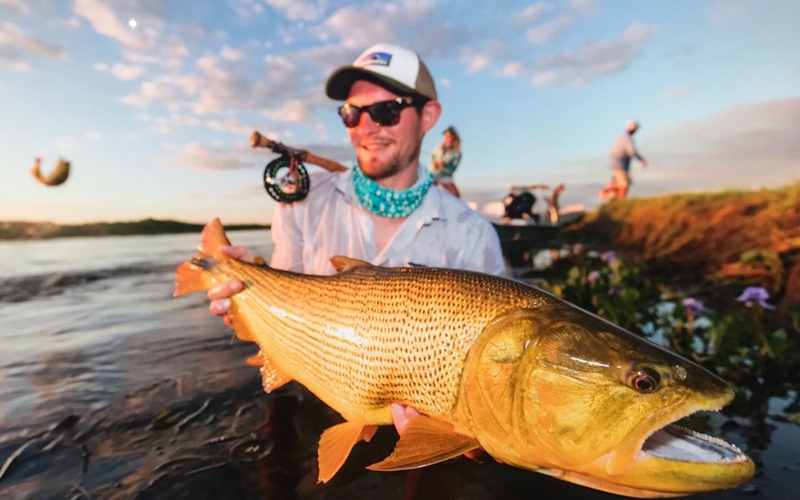 Pirá cannot be compared to other lodges that fish dorado due to its remarkable facilities, high-qualified staff and strategic location on the coast of the Iberá Marshlands. 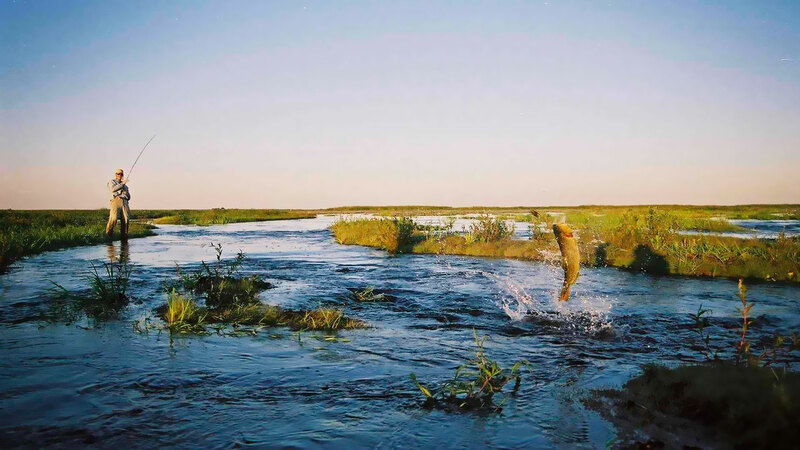 These marshlands cover an area of over 1 million hectares and offer the chance of fishing dorado in pristine waters. 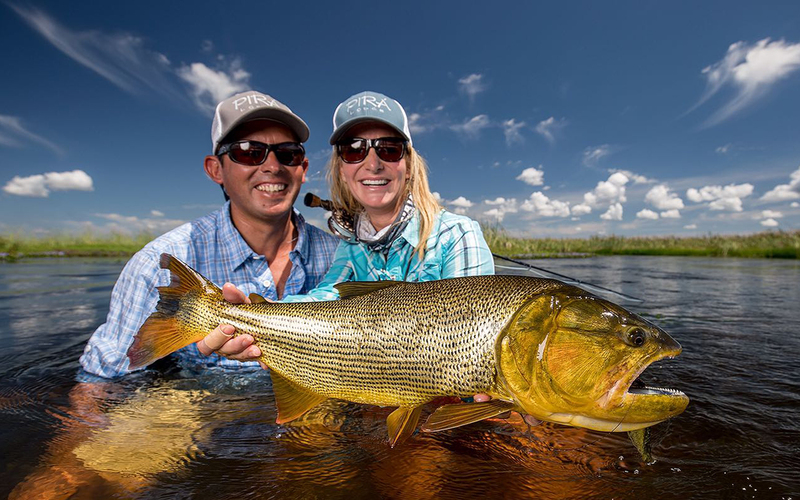 These ideal conditions allow to cast on sight and catch the dorado with floating lines and surface flies, a technique that produces spectacular hook-ups. The Ibera Marshlands are worldly famous for the beauty of the sights and ecosystem biodiversity. They are home to over 350 species of birds, 85 species of mammals, and 70 reptiles. The largest populations of the endangered marshland deer, alligators and American caimans also have them as their habitat. The dorado (Salminus Maxillosus) is called the "Tiger of the River" in Argentina and is regarded as one of the most sporting fish of South America. It is a great swimmer and the average size ranges from 4.5 to 33 pounds, even though the world record is over 66 pounds. The package includes 7 night accommodation and 6 full days fishing. 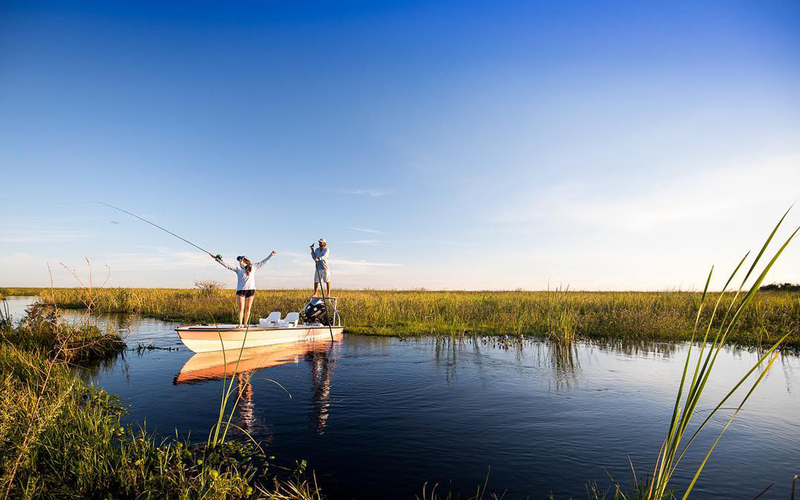 All the fishermen will be accompanied by a professional guide and will float the marshlands looking for dorados, on modern Skiff Boats, specially designed for flyfishing in this kind of habitat. The boats are fully-equipped with four-stroke engines, silent and ecologic. The guests at the lodge will find countless activities. For the most demanding fishermen, day starts at dawn and finishes at sunset. However, visitors like the idea of setting off early in the morning and coming back at noon, to enjoy some refreshments, lunch, the swimming-pool and a good nap. In the afternoon, the fishermen go back to the water. This timetable helps them avoid the heat of midday, and allows them to enjoy a meal prepared by the chef, apart from spending some time with the non fishing guests. Located in the peninsula, on the Ibera Marshlands, Pirá Lodge offers spectacular views of this huge and marvelous region. The lodge has 5 spacious double rooms with a capacity of 10 guests, containing private bathroom, queen-size beds and air conditioning. In another building, joint by galleries, there is a large lounge, a bar and the dining-room, with high doors facing the galleries. Although the design of the lodge was based on the local architecture, it offers the comfort of a modern and luxury hotel. For line 7 or 8, 9 to 10 feet long. Any high-performance reel will do. Strong brake system, with at least 100 yards of 20-pound backing. WF floating line for tropical weather. We recommend Ultra 3 bonefish taper. Also, fast-sinking shootings Teeny T-200 and T-300. Deceiver type, sizes should range from 1/0 to 4/0. Poppers and divers are also used. Black, purple, chartreuse, white and yellow have proved good color options. Accessories: Pincers, hook sharpener, a pair of pliers, polarized glasses, sun block, lip protector, insect repellent, a weighing scale, etc. Clothes: Light shirt and trousers for tropical weather ( Exoficcio, Patagonia, Columbia, Tarponware, etc), hat, sandals, and a light water-proof jacket. Rates include: 5 full fishing days and 6 nights accommodation in comfortable bedrooms; amenities; all meals and beverages; bilingual professional guides and modern boats, fishing license. Rates do not include: Transfer Mercedes/Lodge/Mercedes; fishing equipment and flies; insurance and other personal expenses; gratuities; fishing license. Notes: Ask for high season rates and special offer discounts !!!!! Non fisherman 50% less.